In terms of him building the business side, I think a lot of that is about his ability to be an individual entrepreneur to develop an institution behind his public speaking and preaching. There were multi-faceted arms of what he did. 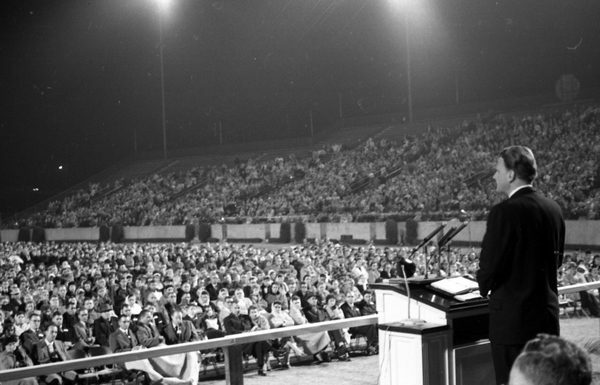 … It wasn’t just that people sent money for Billy Graham to travel the world and preach, but the money that they were able to raise from people as well as whatever other means they had to raise support went into other aspects of his ministry, which were largely educational, and as well there was some sort of social outreach, helping the poor, that they did. Organizations have sprung up that actually evangelical groups can become members of, and they have certain sorts of accounting practices and transparency practices and the like that help to keep them away from those kinds of temptations. … Billy Graham and his organizations always had a system built in, as any good business would. There are groups out there, where one or two people are calling all the shots, and they have a much higher likelihood of misusing money–whether they do or not is another question–because of the lack of the accountability more broadly to their boards and to the people that support them. Evangelicalism has a demographic problem right now. …The demographic numbers from outside are that it’s shifting–there are fewer people, they are losing members across different kinds of groups. And that’s a problem because their support comes from the people in the pews, the people who go to their schools, and as that number dwindles, you’re going to have a harder time to support those ministries. In the longer term, my hunch is that there’s going to be some retrenchment and reduction in the kinds of institutions that are out there that can simply make it as a business. Of course, that remains to be seen how that works out. 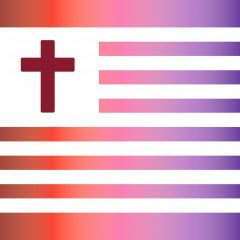 Flory also spoke with FiveThirtyEight and Congressional Quarterly about evangelical politics after Graham’s death. Click here to read about that story.